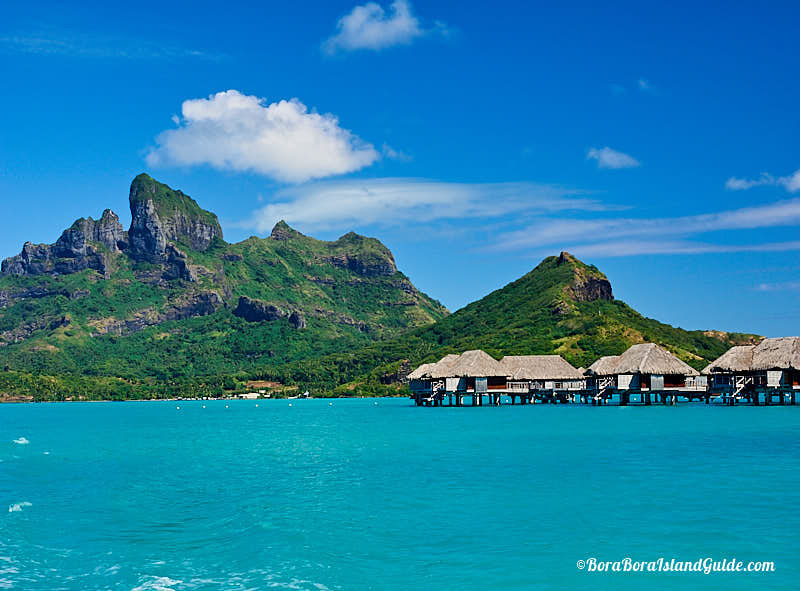 Far from the madding crowd, there is a pristine island paradise known as Bora Bora. Every month, 4 million people are searching for Bora Bora - on Google that is! But only a lucky few actually find their way to explore this mysterious isle. 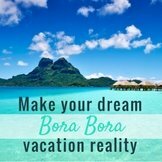 In fact Bora Bora receives less visitors in a whole year, than Hawaii does in a week! Those who do find their way here, are enchanted by the tranquility. 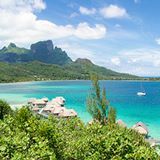 They traverse the lush terrain, enjoy the luxury in the Bora Bora resorts, lie on the white sand Bora Bora beaches, and linger in the warm, turquoise lagoon. 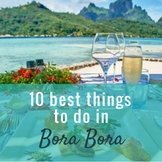 Seeking mysterious Bora Bora? Think of the vast Pacific Ocean. Look way out to the middle of this water mass and put your finger on the globe about half way between Australia and Peru. Move it to just below the equator and you will locate French Polynesia which covers an area the size of Europe. Five great archipelagos are scattered across this remote territory of the South Pacific. Tahiti is the largest island so has become the main island. 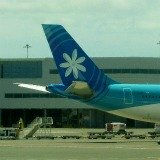 Travelers fondly call French Polynesia, 'Tahiti and Her Islands'. Often this is abbreviated to'Tahiti'. 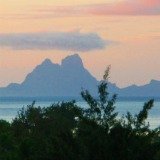 So you may hear Bora Bora and other islands referred to as Tahiti. 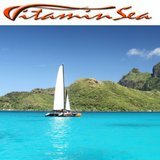 The most recognized archipelago is the Society Islands. 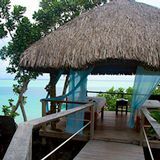 This exotic group, with the alluring names of Tahiti, Moorea, Bora Bora, Huahine, Raiatea, Tahaa and Maupiti, has for many years captured the attention of romantics, and summoned them to it's shores. Amongst those who heard the call are painter Paul Gauguin, writer James Michener, and actor Marlon Brando. 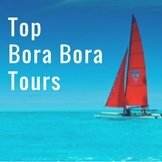 How to get to Bora Bora? 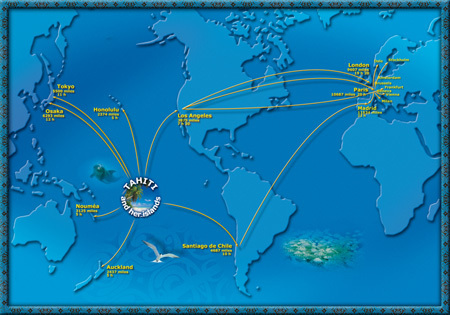 Those venturing to Bora Bora enter the Society Islands through Papeete, on Tahiti. Papeete is about 4,000 miles south-east, across the ocean from the bustle of Los Angeles. The flight takes around 8 hours. It's 5 hours from Hawaii. 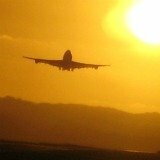 There are 3,800 water miles between Papeete and Sydney, and the actual time in the air is about 8 hours. 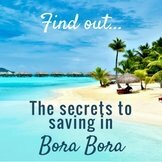 Find out everything you need to know about how to get to Bora Bora and flights to Bora Bora. 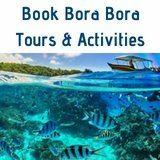 Where is Bora Bora in the Society Islands? 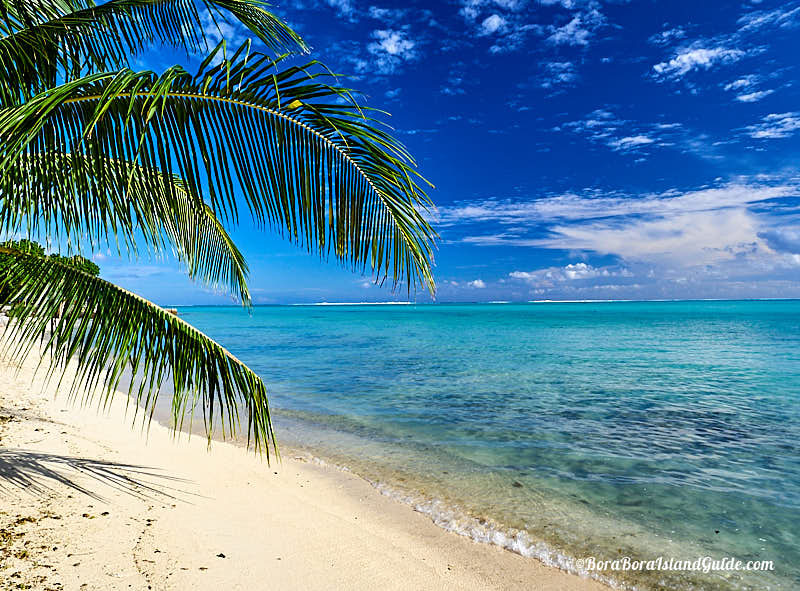 Bora Bora lies among the Society Islands which are divided into two groups. The group to the east has been named the Windward Islands. Here sits Tahiti, Queen of the Pacific, whose name whispers romance. 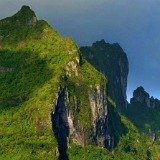 To the north-east of Tahiti lies the green velvet island of Moorea, popular for it's sweet pineapples. 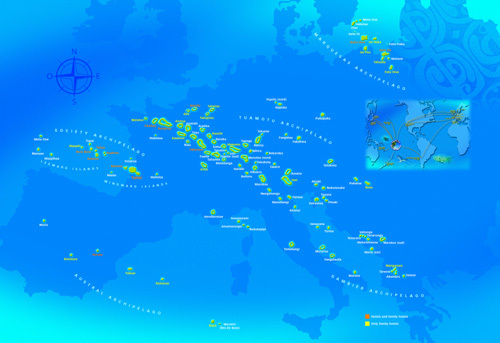 The western cluster is referred to as the Leeward Islands. Here, Huahine, Raiatea, Tahaa and Maupiti rise above the ocean. Huahine with it's lush forest and untamed landscape is a Garden of Eden. On sacred Raiatea, homeland of the ancient Polynesians, the re-telling of legends keeps Polynesian culture alive. Flower-shaped Tahaa grows vanilla that's prized by chefs around the world. Maupiti is Bora Bora's little cousin. 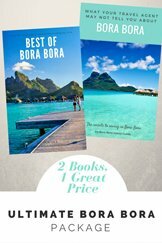 Where is Bora Bora, jewel of the Pacific? 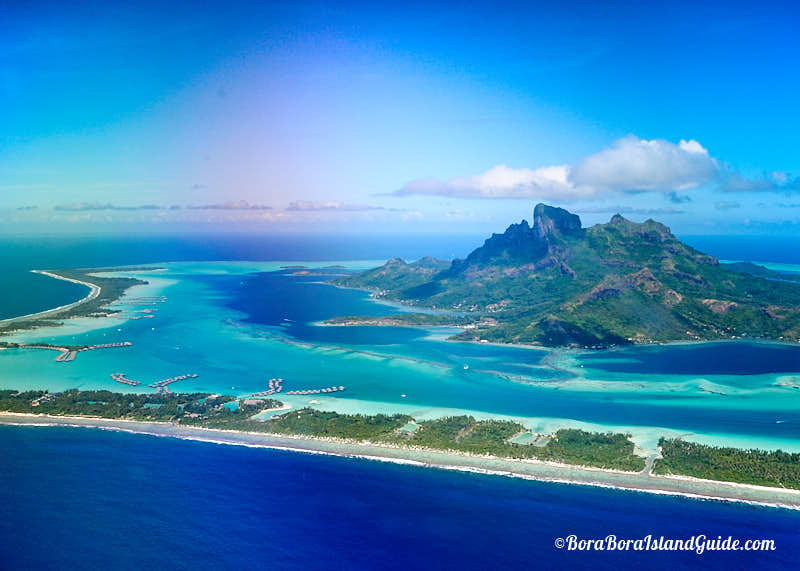 Bora Bora Island poses majestically amongst these Leeward Islands. Bora Bora is one of the scenic wonders of the world. This cherished isle is 11 square miles of lush vegetation with the souring silhouettes of 2 extinct volcanoes towering over it. 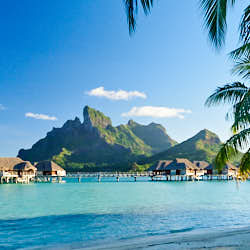 Bora Bora is named the most beautiful island in the world and casts a spell over travelers. Everyone who goes there wants to return. 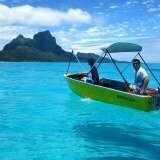 Boats voyaging to Bora Bora have only one entry point into the lagoon. They must navigate carefully through a single channel as Bora Bora is ringed by a necklace of coral motus (small islands). This formation has created the tranquil lagoon that surrounds Bora Bora and makes this island paradise. 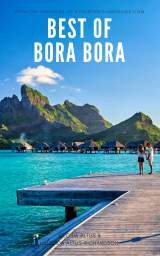 Most people only know Bora Bora as the setting for movies like 'South Pacific', 'Mutiny on the Bounty', 'Couples Retreat', or 'Bachelorette'. So, keep on asking, 'Where is Bora Bora? 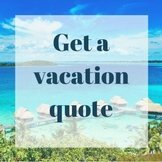 ', until you find yourself starring in your own vacation on tropical Bora Bora. You can use this Google map below, to zoom in around Tahiti, and explore where Bora Bora is in relation to where you live.